Much has changed since the first optical microscope was designed in the late 16th century by Hans and Zaccharias Janssen, two Dutch spectacle makers. For the first time, their invention put multiple lenses to use, resulting in much higher magnifying power than a single lens could achieve. For almost 400 years optical microscopy did not require precision motion control and its resolution was bound by the diffraction limit. 3D imaging techniques allow users to take slices of images to build up three dimensional images. Confocal laser scanning microscopy (CLSM) was one of the first methods to provide high-resolution 3D images. Originally patented in 1957, the breakthrough came with the broad availability of the laser in the early 1970’s. Based on a laser scanner, and a way to shift the distance of the focal plane and light source, confocal imaging increases contrast by blocking out-of-focus light by means of pinholes. The pinholes allow imaging of individual slices with great detail and software can create a 3 dimensional image out of so-called image stacks. Compared to the original microscope, the modern CLSM cannot work without a precise scanning apparatus (galvo-scanners, piezo-scanners) and electronic control. While providing many benefits over classical microscopy, CLSM is not quite considered a super-resolution technique. With the capability to see details way beyond a micrometer in size, microscopy had evolved to nanoscopy. Another breakthrough came in 1994 when Stefan Hell published an article proposing a super resolution microscopy method, so-called stimulated emission depletion (STED). Hell had worked at Heidelberg Instruments trying to adapt a CLSM to measure transparent 3D photoresistive microstructures for the semiconductor industry with dimensions on the same order as the wavelength of light. What did not quite work with CLSM inspired him to find new ways of thinking beyond the diffraction limit. In STED microscopy, an annular laser beam excites fluorescence only in a nanometric volume at a time. By scanning the beam precisely with mechanisms capable of nanometer resolution and correlating the exact position with the optical data collected, a super-resolution (SR) image is created. With SR microscopy, single molecule imaging was made possible. W. E. Moerner and Eric Betzig who received the 2014 Nobel Prize in Chemistry together with Stefan Hell made large contributions to the development of this technique. About the same time, another technique, called 4PI microscopy, was demonstrated experimentally by Stefan Hell. 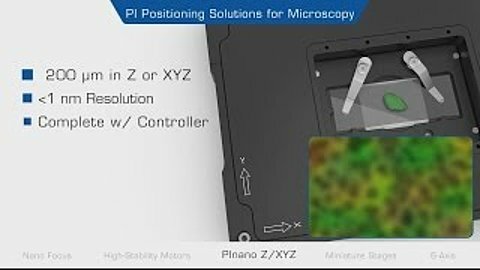 4PI microscopy takes advantage of dual juxtaposed objectives to illuminate the sample from both sides at a common focal plane. The resulting constructive and destructive interference improves the axial resolution and produces a sharper image in axial and lateral dimensions. In this multi objective system, alignment of two opposing objectives is required. Precision lateral alignment of the two objectives, straightness of travel and stability are all important items that need to be addressed in this system. Lateral resolution of 5nm was achieved with a P-612.2SL XY stage (NOTE: Even higher lateral resolution can be achieved with a P-763.22C). 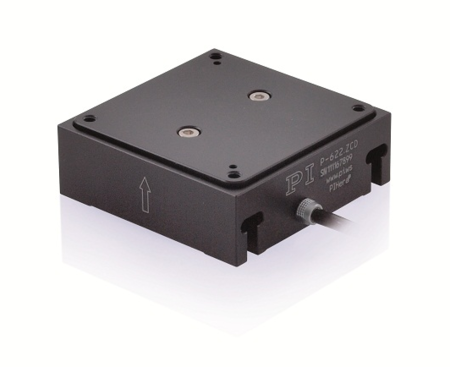 Separating the two objectives for sample loading, the N-664.3A piezo linear stage was used with 0.5nm resolution over 16mm of travel. This stage allowed the ability to return to the focal plane with nanometer accuracy after loading the sample. A new technique in single molecule biophysics, called PhotoGate microscopy, allows tracking of single molecules in highly dense environments such as inside cells where traditional single molecule microscopy techniques have limitations and PhotoGate microscopy can yield longer tracking times and produce more accurate measurements using photobleaching to control the number of fluorescent particles. The physics behind the technique and results are described in this article “PhotoGate microscopy to track single molecules in crowded environments” from the Biophysics Graduate Group, University of California, Berkeley. 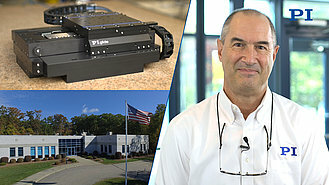 Digital Light Sheet Microscopy (DLSM) / Lattice Light-Sheet Microscopy (LLSM) or Selective Plane Illumination Microscopy (SPIM) is a fast optical-sectioning fluorescence technique allowing for 3D volume imaging under the diffraction limit. Light sheet microscopy reduces photodamage caused by long exposure to high laser intensity to cells (such as is common with confocal microscopy), a significant advantage for research on biological processes in live cells. The illumination in LSM happens 90 degrees to the direction of observation, with only the focal plane (typically <1um thick) of the sample exposed to laser light for the time required for imaging. Light sheet microscopy reduces image acquisition time and photobleaching because it eliminates out-of-focus excitation and spreads the laser light energy over the entire field compared to a single point as common in traditional fluorescence microscopies. The speed of LSM is a great advantage for acquiring 3D images and in some cases has enabled real time video imaging – a key to better understanding the biological development process over time. Important areas to consider for light sheet systems is the spatial resolution, temporal resolution, scanning area, and long term imaging stability. Longer data collection time requires good mechanical design with low-drift. 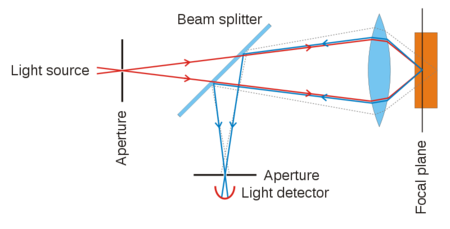 There are several designs of light sheet microscopes: isotropic multi-view light-sheet microscopy, lattice light-sheet microscopy, dual-view light-sheet microscopy, etc. 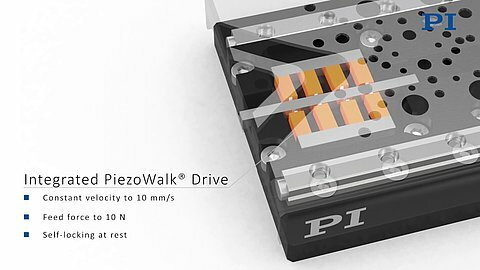 A PIHera P-622.ZCD piezo Z-stage for vertical nanopositioning control is used in this tutorial video on "Setting Up a Simple Light Sheet Microscope for In Toto Imaging of C. elegans Development”. The largest reported imaging volume was achieved with an isotropic multi-view light-microscope (Chhetri et al.) 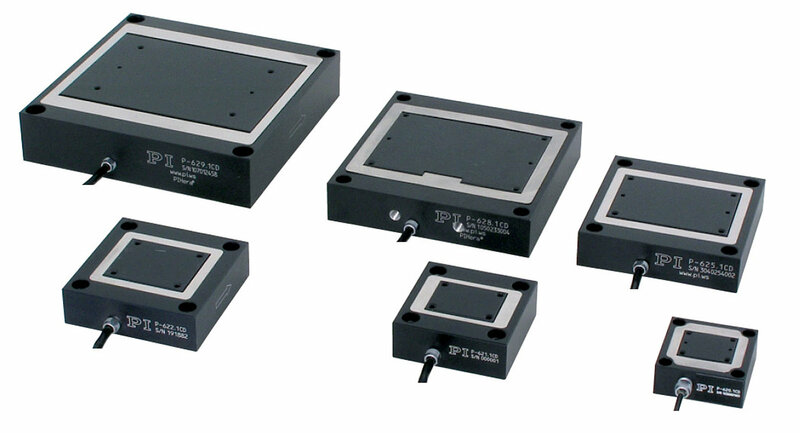 at 830x400x400µm, based on a piezo scan range of 800μm such as theP-628.1CD PIHera piezo linear stage. This type of LSM can be used for highly dynamic, high-resolution imaging of large embryos in XYZ. A detailed paper on the design is here. Additional information on designs and applications also for smaller volumes can be found in this review Emerging Imaging and Genomic Tools for Developmental Systems Biology, by Zhe Liu and Philipp Keller, available here. A patent application by Nobel Prize winner Eric Betzig is titled Bessel Beam Plane Illumination Microscope. Often a piezo nano-focus device, such as the P-726 nano-positioner, is used to image each plane in focus. An article of on Multicolor 4D Fluorescence Microscopy using Ultrathin Bessel Light Sheets is published here. The P-726 is also referenced in this article “Remote refocus enables class-leading spatiotemporal resolution in 4D optical microscopy”. 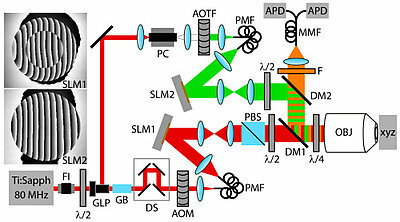 While a large portion of the modern optical microscopy types are based on fluorescence, photothermal optical microscopy, which uses absorption instead, can detect non-fluorescent labels in single molecules. 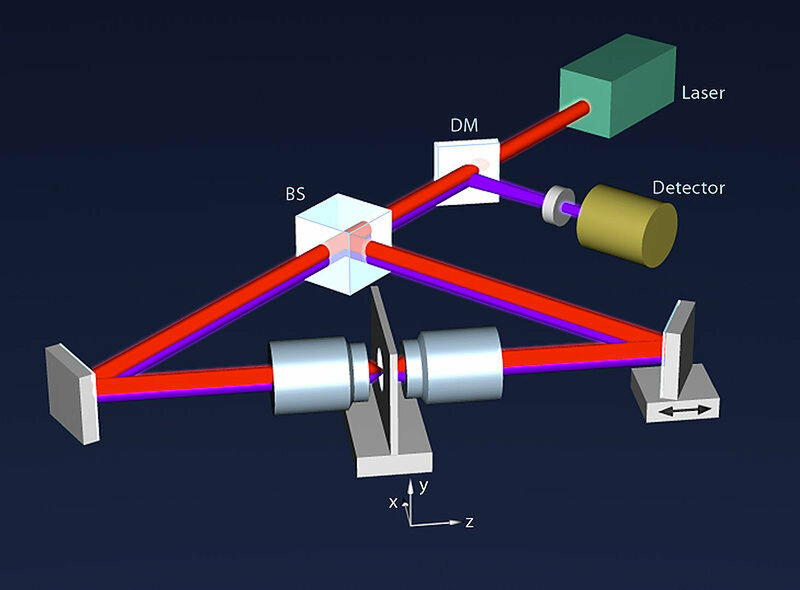 Two laser beams are required, one for heating the target and one detector-beam. Bio-medical applications can benefit from the high resolution, which can be further improved when combined with confocal 3D scanning techniques. Benefits of PTM are the high signal to noise ratio and the saved effort for cell staining. A recent paper by He et al, explains the use of PTM in skin cancer research. Read more here.